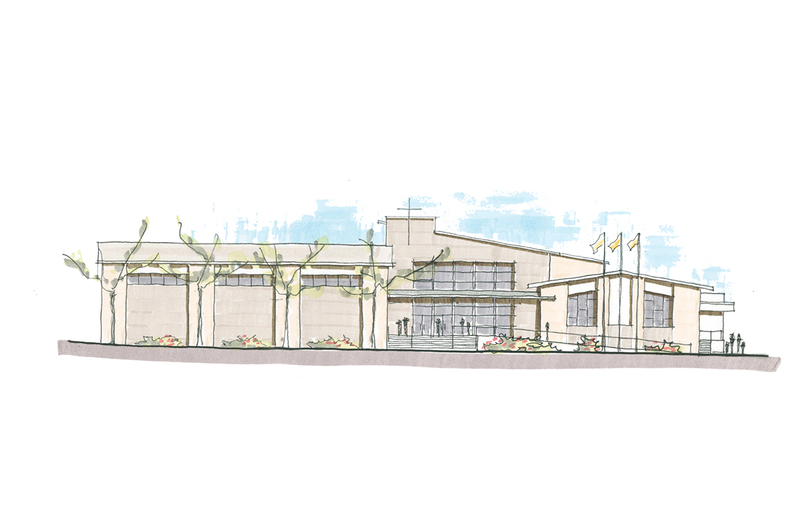 As a $6.5M project, the plans for St. John Neumann Catholic Church in Lancaster, Pennsylvania include renovations to the Church and a new Catholic Education Center. The Church renovations include the creation of new conference and meeting rooms of various sizes and accessibility and improvements like new accessible restrooms and full access to the Sanctuary. This project also adds improvements to the Nave, such as the replacement of chairs with pews, a new vibrant paint scheme, upgraded flooring materials, new HVAC systems and upgraded lighting. The new Catholic Education Center is a 21st century education facility for children in the catholic school and parish religious education programs from Pre-K to 8th grade. The new center will also support other religious education programs for participants in the parish RCIA and youth and adult programs. The project incorporates plans for a high school-size gymnasium with team rooms, a library/multimedia center and outdoor recreation areas. Along with 15 other classrooms, the plans include a science/STEM classroom, art and music classrooms and an IU 13 learning center. This structure is designed to accommodate future expansion up to 2 classrooms per grade. 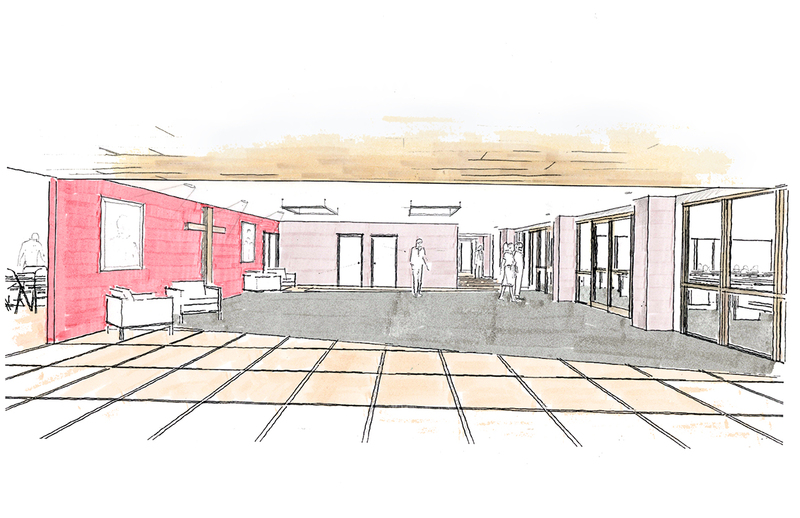 The renovation of existing narthex helps to create a better community space for parish members and to improve fellowship.